Here's a vaguely terrifying thought: every time you leave your house, whether you get in a car or not, your life basically depends on road signs working properly. You understand which ones are really, really important and which you can ignore -- and you usually make that distinction unconsciously, without even thinking about it. It's kind of crazy. Unsurprisingly, there's a crapload of research that goes into traffic signs, and they exhibit a surprisingly deep knowledge of human psychology, even if they don't offer sage advice, quote Shakespeare, and sing "Do Wah Diddy." 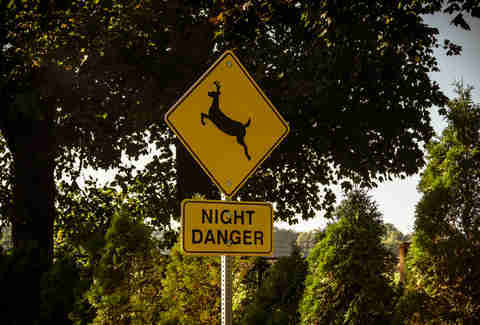 It might seem logical to have a sign for something this important, you know, jump out and really grab your attention. 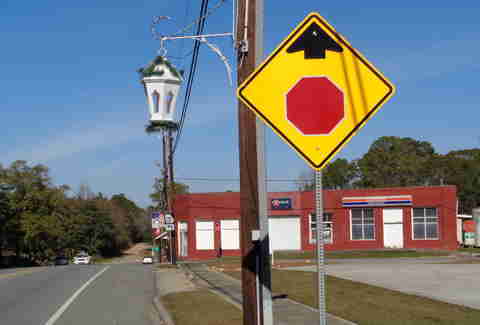 Why not make stop signs orange or square or with blue flashing lights, to keep drivers on their proverbial toes? 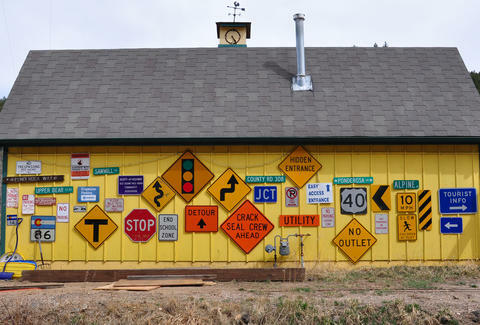 Turns out, signs are standardized not just because of government regulations, but because they're actually much more effective when you don’t focus on them. A standardized set means you’ll glance at a sign ever so briefly, get the message, and then go back to concentrating on not hitting anyone. At an unconscious level, common road signs function just like brands -- you know exactly what to expect, just like you do when you see a McDonald's arch. This sign, and, well, every sign that tells you there's another sign coming right up, exists purely to prime your brain, even if you aren't paying attention to it. It's called "cognitive priming" and the point is to increase your concentration and decrease your reaction time. That may seem obvious, but researchers in England have proven that it works purely on an unconscious level, rather than a conscious one. In other words, you don't even have to register "oh, look, there's a stop sign coming up" -- you'll just automatically anticipate its appearance. You know those signs that actually call you out when you're speeding? 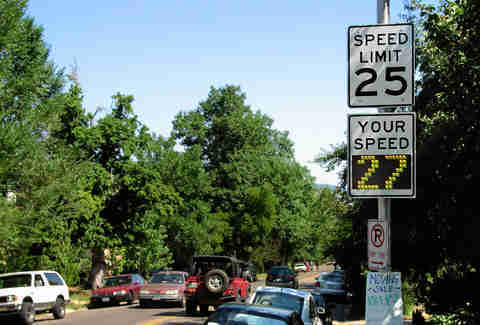 As it turns out, those dynamic speed-display signs (DSDS) actually do work to slow your roll. A German project a few years ago compared reactions to a variety of different electric signs -- ones that show your speed in green or red, versus ones that simply say "slow" in red. Speeders who saw their number didn't slow down unless it was past a certain threshold, because psychologically, most people are OK with speeding a little bit. Whereas the big red "slow" sign affected nearly every speeder immediately, because they were unsure how much they were over the limit. 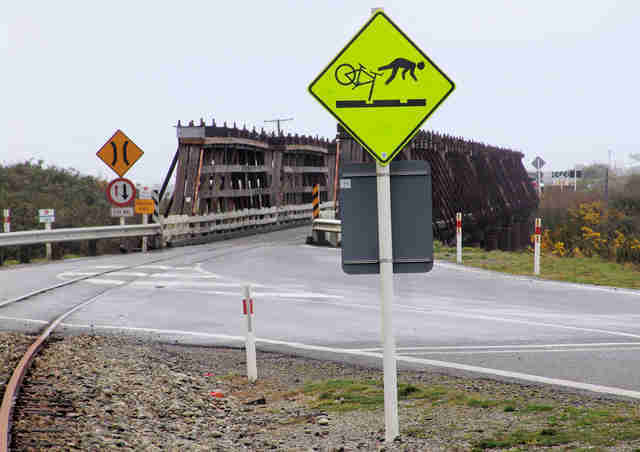 Why the US chooses to go with the less effective sign is anyone's guess. There's a reason that crosswalk signs show stick-children running or walking -- it unconsciously activates the part of your brain that monitors movement. A brilliant study came out last year showing that dynamic signs grab your attention up to a full second earlier than those with no implied movement. They also result in a significant increase in eye movement as you scan the area for dangers, ensuring a much quicker stop time if some hapless grade-schooler happens to come darting out into the road. Now that's good signage. You forget about signs you've passed as soon as something else distracts you. For example, let's say you're in a school zone. 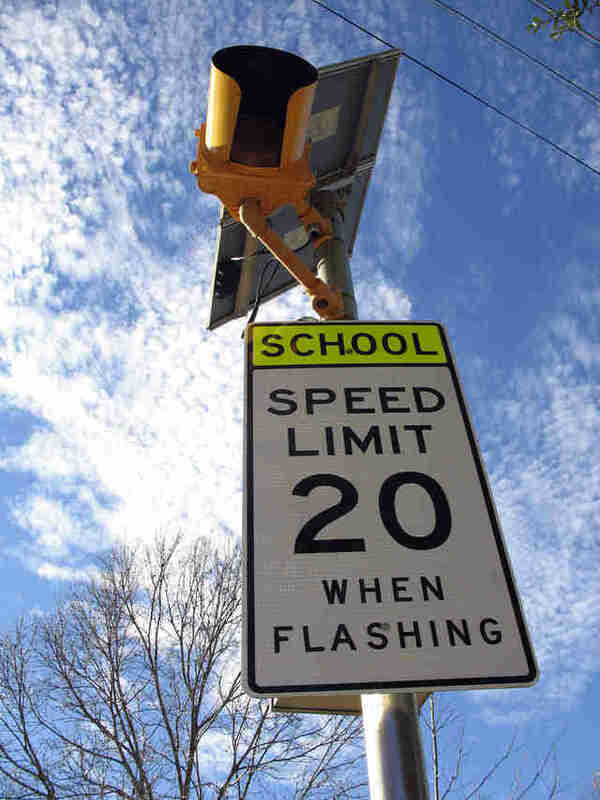 You saw the flashing lights, slowed to 20mph, and then, mid-school zone, you caught a red light. Once the light turns green, if there's not a second sign to remind you, you'll drive off without a care in the world -- until there's a cop with a radar gun. Statistically speaking, traffic as a whole speeds by roughly one mile per hour in a normal school zone, and over five miles per hour in a school zone after a red light. 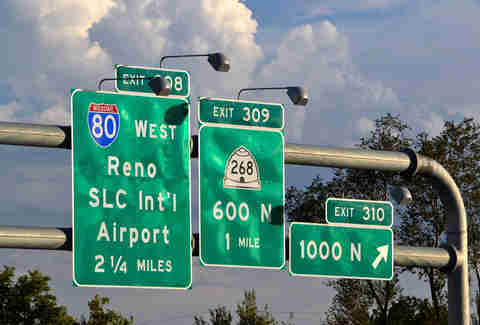 With road signage, visibility at night and in crappy weather conditions is the main priority. But using capital letters is also a sort of cognitive hack that helps you read faster. Back in the day, when cars were evolving out of the horseless carriage phase, lowercase letters were strictly banned on road signs. Eventually, scientists figured out that the mind processes information faster if there are just a few capitalized letters interspersed for visual cues... and it's also a lot less, uh, aggressive. A fairly long list of allowed and disallowed abbreviations also helps slow readers and anyone whose vision is blocked by traffic (say, if you're stuck behind an 18-wheeler). From the ubiquitous "XING" (crossing) to the understandably confusing and now-prohibited "PARK," which meant Parking, but was frequently misinterpreted as... "park." God only knows why. 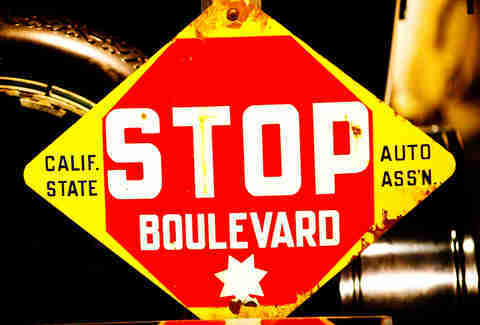 Ever wonder what the first standardized font for road signs in the US was? Clarendon. Then, Highway Gothic was king for nearly half a century. And from 2004 until literally this month, the font du jour was the bureaucratically named Clearview. Aaron Miller is the Cars editor for Thrillist, and can be found on Twitter. He's still waiting for holographic roadsigns.